A debate on dealing with nuclear waste raises fears of future power stations in the west of England. "It feels like we are murderers deciding whether to bury the body," shouted the middle-aged gentleman. "My concern is that we don't become serial killers." Feelings were running high in the packed community room in Thornbury, South Gloucestershire. The public had been invited by the Committee on Radioactive Waste Management to discuss what the nation should do with the 80,000 cubic metre legacy of more than 60 years of nuclear power. The subject may have been waste, but for many there was a more important issue: the possibility of more nuclear power stations being built. Nuclear power is an emotive subject, nowhere more so than in the West of England where four power stations are either operating or being decommissioned. While the industry may be in decline, it still employs around 2,000 people and injects £500m into the regional economy. But with power stations in Berkeley, Gloucestershire, Oldbury, South Gloucestershire, and Hinkley Point, Somerset, has come the associated baggage of health scares and safety concerns. And with reports the government may resurrect the UK's power station building programme, the issue is once again a hot topic across the region. Of the UK's 14 operating power stations, all but one will be shut by 2023. The nuclear power industry has argued that if Britain is to meet its future energy needs and targets for tackling climate change, more power stations are needed. The huge start-up costs of building new stations means current sites would probably be preferred if the government decided to build again. Hinkley Point has been mooted as a favoured location. 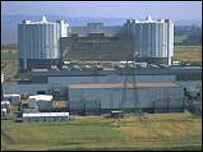 Hinkley A, the first power station at the site, closed in 2000, and Hinkley B is due to shut in 2011. Planning permission for a third station was granted in 1990, but the government chose not to proceed. Although, planning permission has now lapsed, many in the industry believe Hinkley remains a prime location. "I would think Hinkley is high on the list of new nuclear power stations," says Ian Fells, fellow of the Royal Academy of Engineering. "Hinkley has already gone through the planning process and that could be revived," he added. Professor Fells believes Berkeley or Oldbury could also be considered, although other industry insiders think the sites are not suitable for new power stations. Environmental groups have also highlighted Hinkley as a likely target and are focusing on blocking any moves to build another power station. 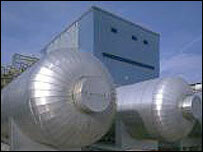 Somerset-based campaign group Stop Hinkley claims there is a cancer cluster close to the power station. Spokesman Jim Duffy said people were more aware of the risks of having a power station on their doorstep than they were when many existing stations were built. "People are very sophisticated in a way which they weren't in the 1950s," Mr Duffy said. "And they also tend to see ways of (opposition) which weren't there in the 1950s and 1960s." Referring to the Chernobyl disaster in 1986, Bristol Green Party spokesman Geoff Collard said the risks were too great. "Even if there is a fraction of a per cent chance of a leak, the consequences are so horrendous that we can't afford to take the risk," he said. But South West-based environmentalist James Lovelock believes nuclear power, which produces very little carbon, may hold the key to tackling global warming. He says radiation emitted from nuclear power stations was less than that which occurs in our natural environment. He said the opposition to nuclear power was based on "fear and the perception of danger - not reality". "It was a matter of great concern, it became more extreme and a climate of fear built up. "We are still paying the price (for that)." Is Britain's future really nuclear?